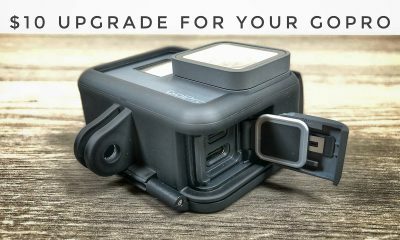 So a few days back GoPro released an update the iOS app for iPhone and iPad to support OverCapture on the GoPro Fusion 360 Camera. This feature was first promoted back at the September GoPro launch event. 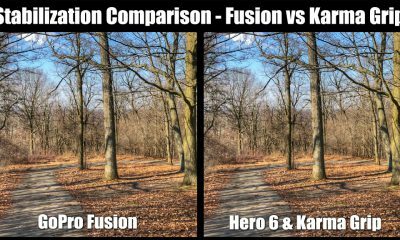 When the fusion was released in November only a basic version of OverCapture was available via the Fusion Studio desktop software. GoPro stated OverCapture would be brought to mobile in early 2018 and it is nowhere. 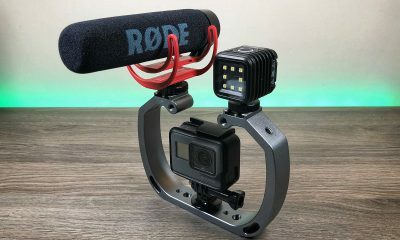 From what I have read this is just a preliminary version and many new features and enhancements will be added over the coming months including possible support of the GoPro Quik App for incredible auto edits from the 360 videos you capture. For those that don’t know, OverCapture is a feature to allow you to frame a traditional HD video out of a spherical video. You can move around within the scene to grab any angle you wish. This makes capturing content from different perspectives very easy as you don’t have to point the camera at one fixed position to make sure you always capture the action. It’s like having many GoPro’s pointed in many different directions. 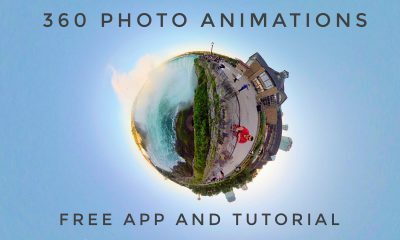 OverCapture also allows you to create visually interesting tiny planet style videos and photos. My first initial impression of the Mobile OverCapture feature was quite good. I found it easy to use and can produce excellent results. There are many features that I would like to see added in future revisions such as the ability to do basic image editing. Being able to adjust exposure and saturation right in the app would be very handy. I would also like to see a way to edit your completed OverCapture. The way it stands right now when you create your OverCapture edit you can not go back and make a change if you are not happy with the way something looks. With the Rylo 360 camera and their version of “OverCapture”, it is possible to go back and make changes via keyframes. I would really like to see GoPro implement a similar style of editing. Watch our YouTube video demonstrating the GoPro app and OverCapture in Action. The last part of 2018 saw the release of many new small and portable cameras that are perfect for travel and adventuring, most notably the GoPro Hero 7 Black, the DJI Osmo Pocket and the Insta360 One X. These cameras are all quite different and take a different approach to capturing footage. I have used all 3 cameras extensively in my personal life and in reviews and testing for my YouTube channel. 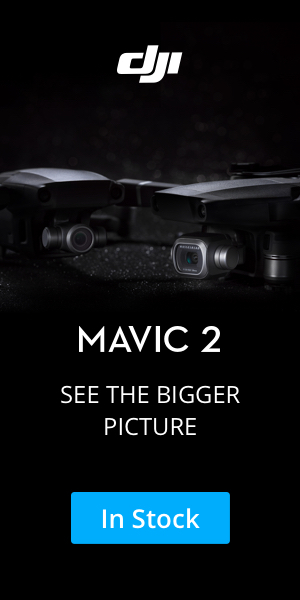 I think all 3 cameras are very impressive and can capture beautiful content, they all have their advantages and disadvantages. But if I had to make a recommendation to someone who was in the market to purchase just one of these cameras for capturing their travels the choice for me is pretty easy. I recently was able to test all 3 cameras out in a travel situation as I took my family on holidays to the Dominican Republic to get some fun in the sun and a break from the harsh Canadian winter. I took all the 3 cameras with me in my Minimalist Camera Travel Kit and used them all to capture memories of our trip. 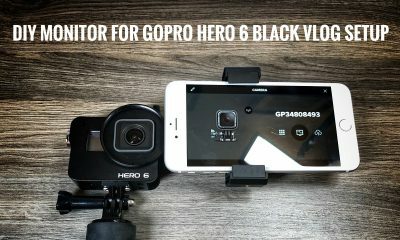 To cut to the chase I would definitely recommend if you want to purchase one small camera to capture your holidays when traveling the GoPro Hero 7 Black is still your best choice and there are several reasons why. The first reason is its waterproof capabilities right out of the box. The GoPro Hero 7 Black is waterproof up to 33 feet as is without any additional housing. For most of us, this is more than enough. If you are a diver you can purchase a waterproof casing that lets you go even deeper. Both the Insta360 One X and the DJI Osmo Pocket are not waterproof and require additional housing. This can add cost to your setup not to mention more time to set up as well as more gear to carry. With The Hero 7 Black it is quick and easy to use in the water, just power on and go. Paired with the GoPro floating hand grip you have a camera with a comfortable handle that can be used in or out of the water. 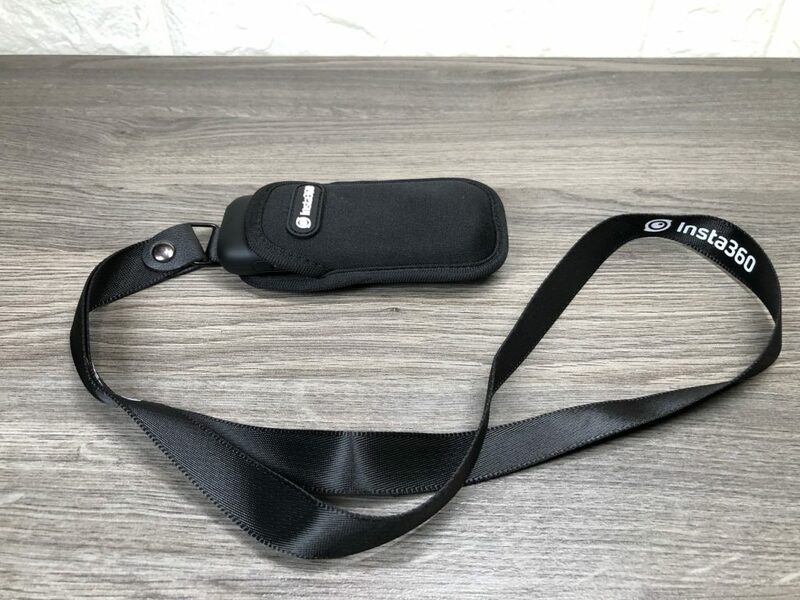 The handle also has a built-in wrist strap which is also important if your doing activities and you don’t want to chance accidentally dropping your camera. The second reason is durability, the GoPro Hero 7 Black is built like a tank. This can be very important when traveling. If you are adventurous you may be in situations where your camera may be in a questionable situation and taking a few knocks, with the Hero 7 Black you don’t have to worry about it, it is designed to take some abuse. The insta360 One X has protruding lenses that can be damaged very easily and you always have to take care. I will say the DJI Osmo Pocket is built well and durable to a point. It has a mechanical gimbal that can capture some really nice buttery smooth video, but due to being a mechanical gimbal it does make it a little more delicate. In many ways, the footage for the Osmo Pocket can be smoother than that of the Hero 7 Black that uses electronic image stabilization, even though it’s quite good, in low light situations you can still get some unstable footage. At the end of the day when out adventuring I prefer the durability than extra worry about breaking my camera. When it comes to durability this can be important especially if you let your kids use your camera when on holidays. Sometimes when trying to capture family moments of your kids it can feel staged, so what I like to do is hand my GoPro to them and let them have fun, the videos captured are more natural and due to the rugged build of the GoPro you don’t have to worry about them breaking it. I would be nervous about handing over my Osmo Pocket to my 1o-year-old. Now when comparing the DJI Osmo Pocket to the GoPro Hero 7 Black, another important thing to consider is batteries. 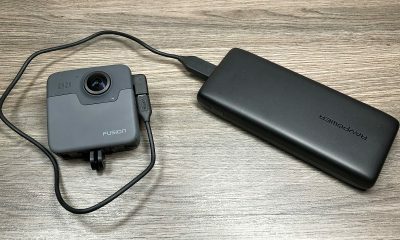 The Osmo Pocket has a built-in battery and they can not be replaced, were as the Hero 7 Black has batteries that can be swapped out when they are getting low. This is super important when traveling. You need a camera that can capture what you need throughout the day without having to stop every few hours to recharge it. 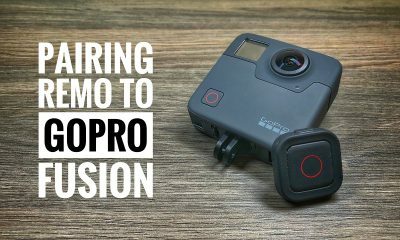 Now the GoPro Hero 7 Black does have some disadvantages over the Osmo Pocket, first off your footage will have that GoPro look, meaning the photos and videos will have a slight fisheye look. This is due to the extremely wide angle lens of the GoPro. The wide angle is nice when capturing footage but if this can be an issue for some. The Osmo Pocket also has many intelligent shooting modes such as tracking a face detection. It also can shoot stunning panoramas which the Hero 7 Black is not capable of. At the end of the day no matter which camera you choose you will be happy. All three cameras are excellent and well worth the money. I just find the Hero 7 Black is a good and affordable all in one camera that can help you capture your memories with little effort or worry. 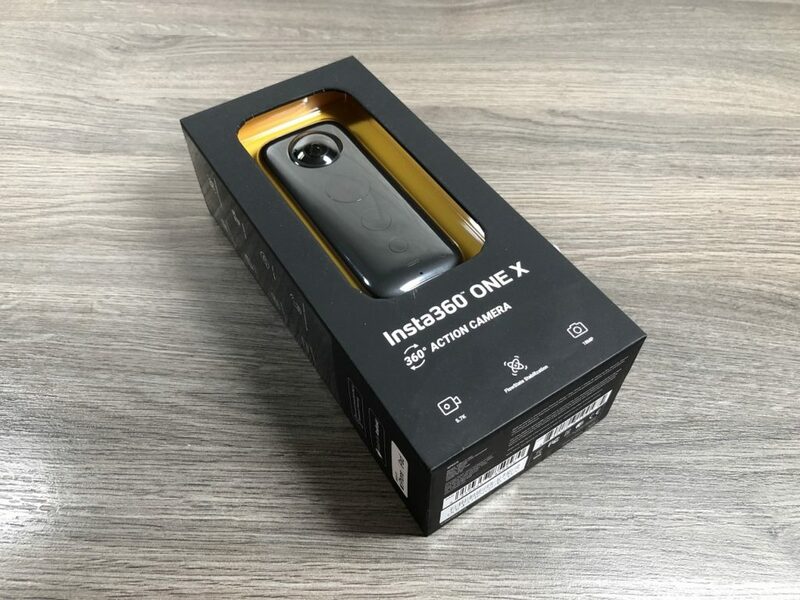 It has been a couple of months since I made my “First Impressions” and unboxing video of insta360’s latest consumer 360 camera the Insta360 One X. 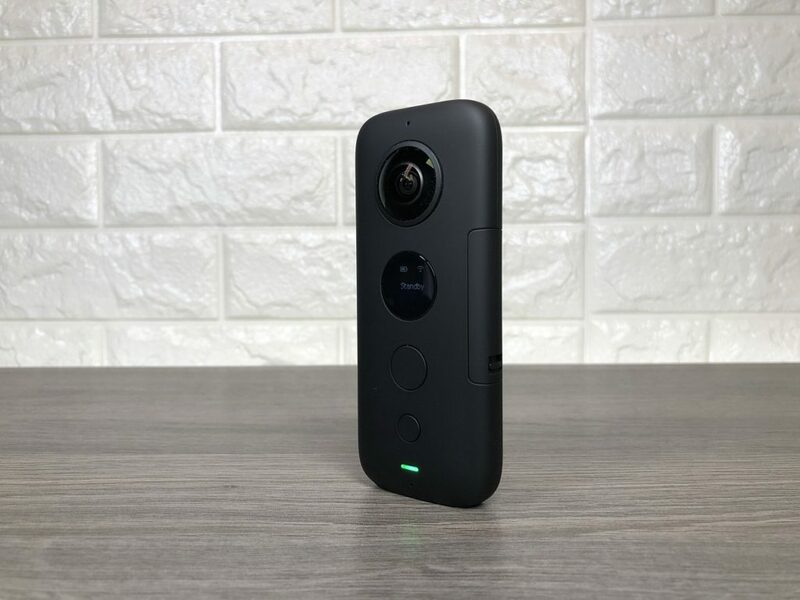 This 360 camera is the succsesser to the original Insta360 One which, for the most part, was a pretty good camera for its price point. The folks at Insta360 have bumped up the spec’s and improved every aspect of this camera to make it one of my favorite 360 cameras now on the market. All these new improvements did come at a cost, the original 360 one retailed for $299 and the new One X now retails for $399. I guess price increases are inevitable in life. I don’t want to make this article all about specs and numbers, but more about my user experience with this camera. I figure if your reading this you have already done your research about what the camera is capable of and are just looking for a review of its performance. I have been filming almost daily with this camera since I have purchased it and I must say I could not be happier. The quality of the new 5.7K video is pretty good, as are the 18MP photos. 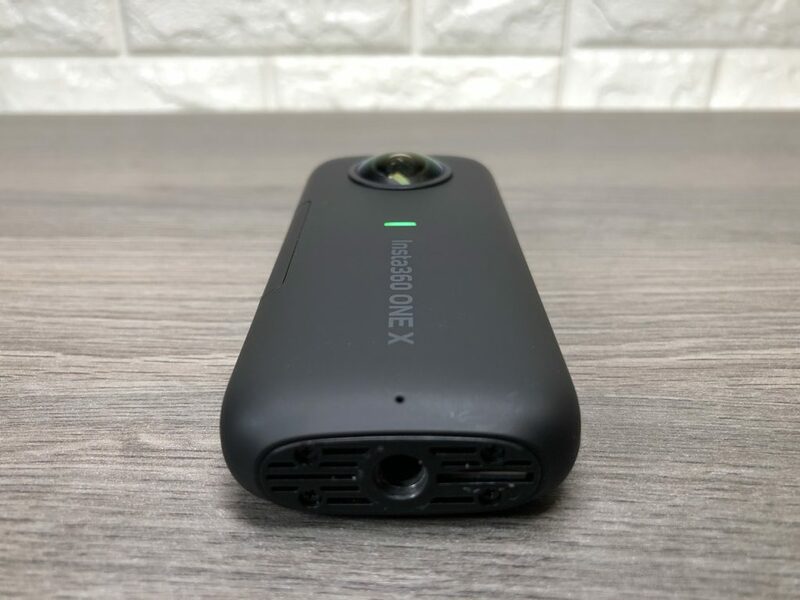 I must say however that I do find some of the videos a little soft sometimes but definitely a huge improvement over the original Insta360 one. The new wireless capability is very handy. 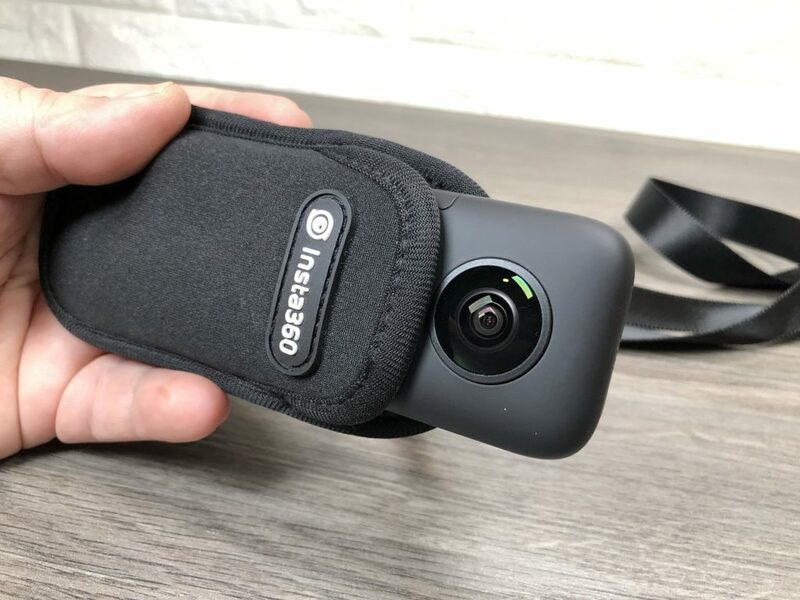 It makes controlling you 360 camera remotely quite easy, and being able to transfer your media to your smartphone wirelessly is way more convenient than having to plug the camera into a smartphone every time. The new higher frame rate is a nice touch as well, you are able to get a slow-motion video with decent quality. Now slow motion is not something I do very often with my 360 camera, I usually save that for my GoPro, but it is nice to have it when needed. One of the things I like best about the Insta360 One X is the software, the intuitive mobile app is what really brings out the power of 360 videos. Personally, I am not one to film in 360 to share as 360 spherical videos. I like to reframe and export tradition 16:9 aspect videos. The insta360 app for smartphone makes this as easy as can be and they offer several ways in which to do it depending on how you like to edit. The flowstate stabilization really is some kind of magic, its crazy to watch back the video and see just how smooth it is, even when you know just how much the camera was actually moving. This can make the Insta360 One X even better than a GoPro in some situations. GoPros are more durable but when you factor in you no longer need a gimbal to get a silky smooth shot definitely gives the Insta360 One X the edge. The new timeshift feature in the software is definitely a welcome addition. This new feature allows you to easily create beautiful hyperlapses and they even take it a step further by allowing you to add some speed ramping effects which takes your hyperlapse to a whole new level. 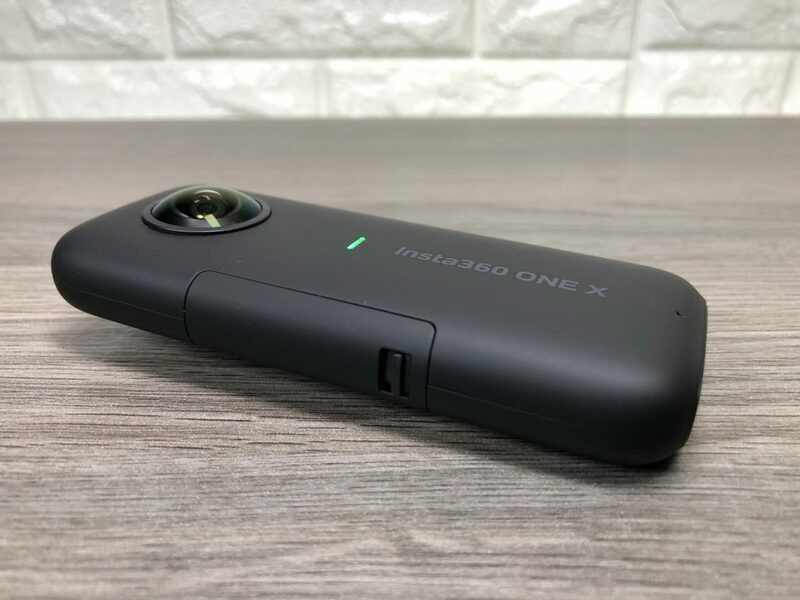 The Insta360 One X has a brand new look, it’s sleek and modern with a new LCD screen which you to change setting right on the camera without having to plug it into your phone. The ability to now swap out batteries is definitely a nice touch too, no more having to stop filming because the battery dies. 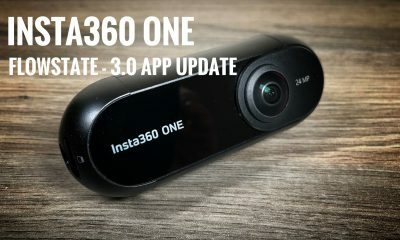 All in all, this is definitely my favorite 360 camera going into 2019, I look forward to seeing what new software features will be introduced as we move forward, insta360 is always good at innovating and making an existing product even better with software updates. If you are in the market for a 360 camera definitely take a look at the Insta360 One X! Watch my unboxing and first impressions video below.